Join us at Bijoy Jain’s MPavilion for Transposition, a puppet procession and dance by Ishara International Puppet Trust based on Rashna Imhasly’s book, The Psychology of Love: Wisdom of Indian Mythology—one that combines Western psychology and Indian spirituality. In a performance of storytelling that depicts the illusions of love, dealing with the duality of illusion and reality, Transposition will encircle MPavilion in colour and drama. 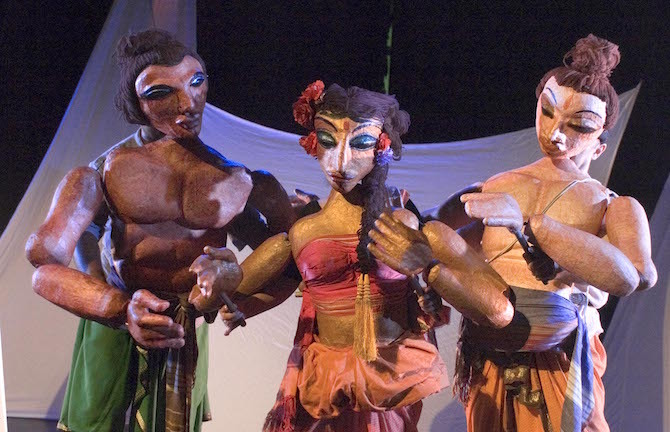 The procession features three large puppets with dancers, visual projections and a dramatic musical score by Sawan Dutta interspersed with Indian poetry. Join us in the gardens for this event, brought to us by Confluence: Festival of India.